News Cuban dictator Fidel Castro had died Friday at 90 prompted mixed reactions from world leaders, Cubans, and Cuban Americans. A visibly emotional President Raul Castro, who succeeded his brother as Cuba's leader 10 years ago, announced the news in an addressed broadcast on state television. But while messages of condolences and condemnation poured in from around the world, many wondered how Castro's children were reacting to his death. Although Castro's position placed him directly under the media spotlight both domestically and abroad, little is known about his children, including just how many of them there actually are. It is believed that Castro leaves behind at least seven children, including a son with his first wife, a daughter born after an affair, and five sons with his second wife Dalia Soto del Valle. However, reports of four other children born from extramarital affairs have surfaced over the years, leaving some question as to the true size of Castro's brood. Yet the mystery around Castro's children is not accidental. Hundreds of alleged assassination plots against the former Cuban leader reportedly spurred him to keep his family out of the public eye as much as possible. According to the Miami Herald, Castro's children would likely go unrecognized on the street in Cuba as their photographs have not been widely circulated. Roughly nine years before Castro would lead an armed revolution to oust President Fulgencio Batista, he married Mirta Díaz-Balart. The couple would have one son, Fidel "Fidelito" Castro Diaz-Balart in 1949 before divorcing in 1955. An affair with Natalia Revuelta would give Castro a daughter named Alina Fernández in 1956. Castro's relationship with Dalia Soto del Valle would result in five sons. Fidelito and Antonio are the only two of Castro's children to have reportedly held high-profile jobs. Fidelito served as the head of Cuba's nuclear program before being fired by his father while Antonio worked as the national basketball team's doctor. While none of Castro's children have commented publicly on their father's death, reports the Cuban dictator had a strained relationship with his children while alive mean some may have mixed feelings about his passing. CBS News reports, "Castro's own children range from worshipping him to wanting nothing to do with him." Fernández, for example, long a critic of her father's regime before escaping the country in 1993, once called him a "tyrant." "When people tell me he's a dictator, I tell them that"s not the right word," The Miami Herald reported she said. 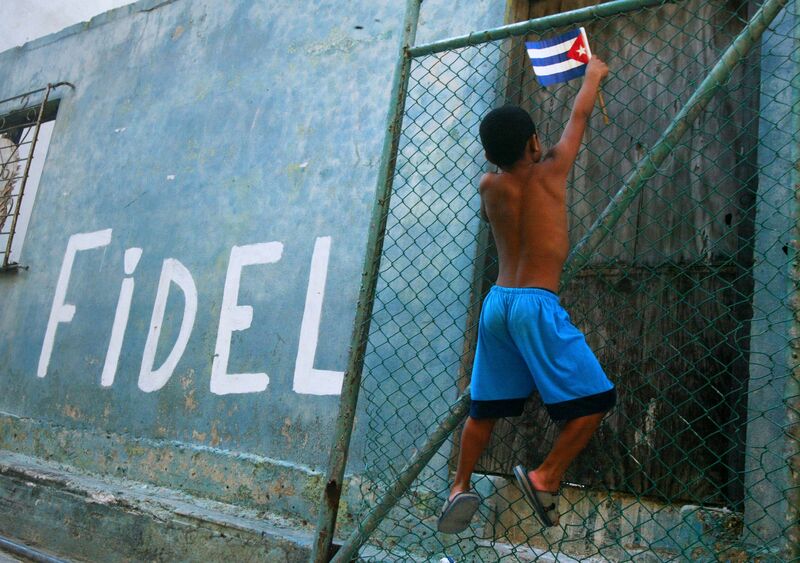 "Strictly speaking, Fidel is a tyrant. I have looked up the two words in the dictionary. A dictator is 'a person who is granted absolute powers to face a national emergency on a temporary basis.' A tyrant is an 'absolute ruler unrestrained by law, who usurps people’s rights.'" A funeral for the former Cuban leader has been scheduled for Dec. 4 following a period of nationwide mourning and a national tour of his ashes, Cuban officials announced Saturday.